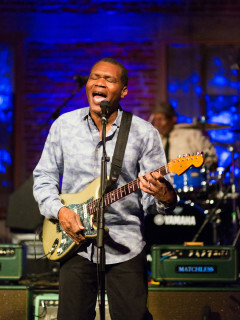 In just over 40 years Robert Cray and his band have recorded 20 studio releases, 15 of which have been on the Billboard charts, and played bars, concert halls, festivals and arenas around the world. There are five Grammys with Cray’s name on them, and he has a suitcase full of W.C. Handy blues awards. Cray has also been inducted into the Blues Hall of Fame.